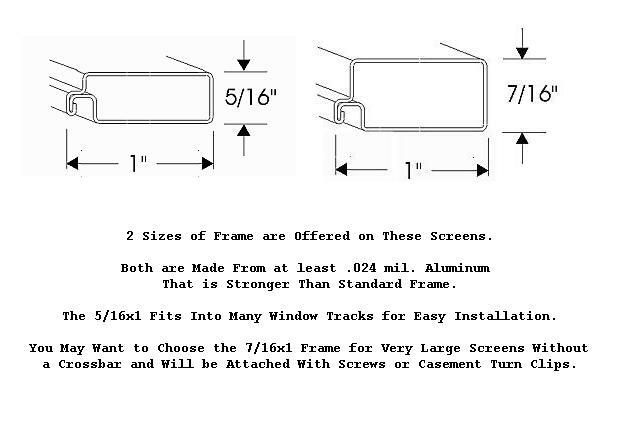 Custom Aluminum Patio & Porch Screens Made to Your Screen Sizes. Aluminum patio & porch screen panels are best choice of screen mesh for areas that have problem with insects such as grasshoppers that might eat fabric type material like fiberglass mesh. If left undisturbed, aluminum patio & porch screen panels can last up to 30 years without having to be replaced. They are a great choice for an affordable screened in patio or porch for budget conscious homeowners. 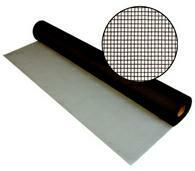 Although aluminum screen mesh is a metal, it is very delicate. 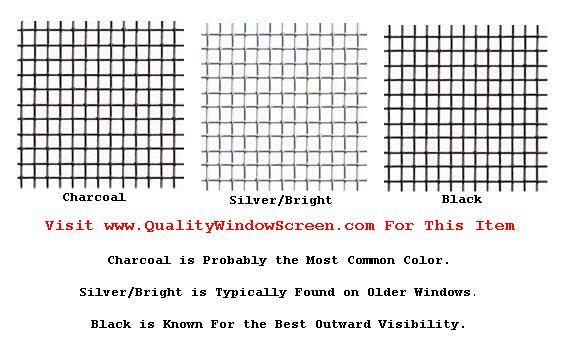 Aluminum screen installed in homes with pets or young children pushing against the screening mesh material may leave a visible mark or even a dent in the screen. The wire strands in the aluminum screening are brittle and tend to break if something falls against the screen which might puncture the screen leaving a hole. Better Option to Aluminum Patio Screen Panels: Unless you are dealing with insects that like to eat fiberglass mesh, we recommend the fiberglass patio screen panels in active areas. Click here for more information about ordering fiberglass patio screen panels where you can choose upgraded screen mesh like UltraVue, No-See-Um 20x20, SuperScreen, and Textilene® 80. 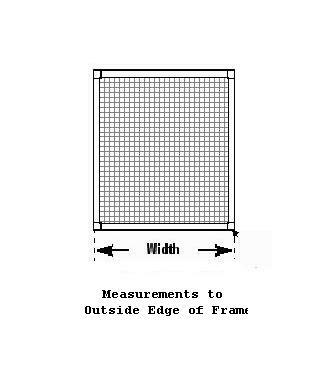 Our custom aluminum patio and porch screen panels are made with heavier duty 5/16 thick x one-inch (.024 ga.) aluminum frame and 18x16 aluminum mesh screen material in larger sizes. They have internal mitered corners and the screen colors are charcoal, black or silver screen. 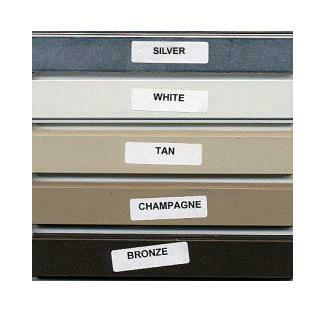 Your 5 aluminum frame color choices are white, bronze, silver, tan and champagne. There is also a variety of attachment hardware to suit your needs. NOTE: Large screens should be attached securely on all sides. Save With Quantity Discounts as Listed Below. Order custom aluminum patio and porch screen panels today! Width Inches Select 10 11 12 13 14 15 16 17 18 19 20 21 22 23 24 25 26 27 28 29 30 31 (+$0.45) 32 (+$0.90) 33 (+$1.35) 34 (+$1.80) 35 (+$2.25) 36 (+$2.70) 37 (+$3.15) 38 (+$3.60) 39 (+$4.05) 40 (+$4.50) 41 (+$4.95) 42 (+$5.40) 43 (+$5.85) 44 (+$6.30) 45 (+$6.75) 46 (+$7.20) 47 (+$7.65) 48 (+$8.10) 49 (+$8.55) 50 (+$9.00) 51 (+$9.45) 52 (+$9.90) 53 (+$10.35) 54 (+$10.80) 55 (+$11.25) 56 (+$11.70) 57 (+$12.15) 58 (+$12.60) 59 (+$13.05) 60 (+$13.50) Help? 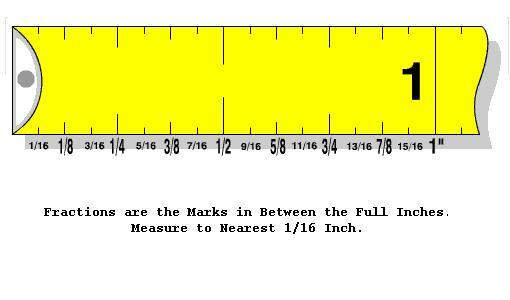 Height Inches Select 10 11 12 13 14 15 16 17 18 19 20 21 22 23 24 25 26 27 28 29 30 31 (+$0.45) 32 (+$0.90) 33 (+$1.35) 34 (+$1.80) 35 (+$2.25) 36 (+$2.70) 37 (+$3.15) 38 (+$3.60) 39 (+$4.05) 40 (+$4.50) 41 (+$4.95) 42 (+$5.40) 43 (+$5.85) 44 (+$6.30) 45 (+$6.75) 46 (+$7.20) 47 (+$7.65) 48 (+$8.10) 49 (+$8.55) 50 (+$9.00) 51 (+$9.45) 52 (+$9.90) 53 (+$10.35) 54 (+$10.80) 55 (+$11.25) 56 (+$11.70) 57 (+$12.15) 58 (+$12.60) 59 (+$13.05) 60 (+$13.50) 61 (+$13.95) 62 (+$14.40) 63 (+$14.85) 64 (+$15.30) 65 (+$15.75) 66 (+$16.20) 67 (+$16.65) 68 (+$17.10) 69 (+$17.55) 70 (+$18.00) 71 (+$18.45) 72 (+$18.90) 73 (+$19.35) 74 (+$19.80) 75 (+$20.25) 76 (+$20.70) 77 (+$21.15) 78 (+$21.60) 79 (+$22.05) 80 (+$22.50) 81 (+$22.95) 82 (+$23.40) 83 (+$23.85) 84 (+$24.30) 85 (+$24.75) 86 (+$25.20) 87 (+$25.65) 88 (+$26.10) 89 (+$26.55) 90 (+$27.00) 91 (+$27.45) 92 (+$27.90) 93 (+$28.35) 94 (+$28.80) 95 (+$29.25) 96 (+$29.70) Help? Wire Color Charcoal Black Silver Show Colors? Absolutely fantastic company. From the five star customer service to the quality of the work on the screens themselves, I have nothing but positive things to say. I screened in my deck and had screens made that were all 84" in length. They had to be shipped cross country and I was a little nervous about damage during shipment. The screens arrived in a custom built crate, in perfect condition. If I ever need to have screens made again, this is who I will be issuing. Screen fit perfectly. I am very happy with the quality of the screen. Just as pleased with my second order as with my first order of screens! Advantages: Fast, reliable, quality service! The packaging is amazing - such great protection of the screens. Extremely happy with the ease of ordering and speed of completion. Will recommend to anyone looking for screens. Overall my experience was great. The screen kits were easy to assemble and the quality of the materials was good as was the customer service. I will use them again. Advantages: Customer service was excellent. i wanted to order large screen panels in kit form. They walked me through the process and made sure the billing was correct. The quality of the materials in the kit was great. the kits arrived quickly. Disadvantages: I ordered screen panels twice. The first time they sent the wrong diameter spline. I called them and they replaced it immediately at no charge. The second order came with less spline material than was required to finish the job. I was in a hurry, so I went to Home Depot and bought the spline I needed. I'm sure they would have sent it to me if I asked. 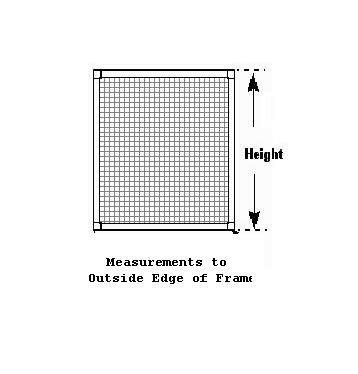 My custom screens were made to exacting dimensions. i needed a special size screen-not available locally. i got the exact size i needed. I can't tell you how pleased we were with our purchase. Shipping was high, but that was to be expected because they build a wooden box to protect the screen. Well worth it, IMO. Top quality and shipped so quickly after ordering. Hubby just installed it, and I have to say, it looks better (and is better quality) than the original screen which was damaged by power washing. Thank you. So glad I found your website. EXCELLENT! screens were exactly as ordered. fast prompt shipping.